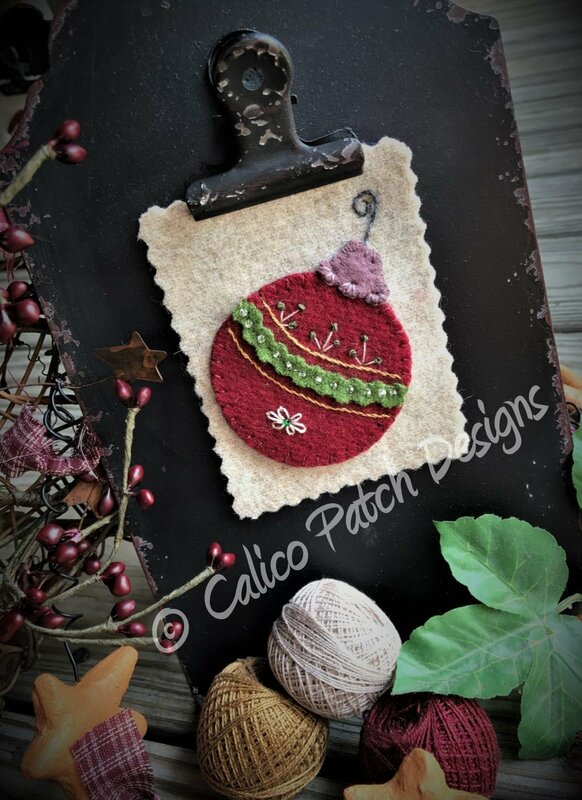 Block 2 of Calico Christmas Sampler. This wool Stitch Along is a fun project. Block two of seven is adorable Tree Ornament. Kit includes wool and embellishments.